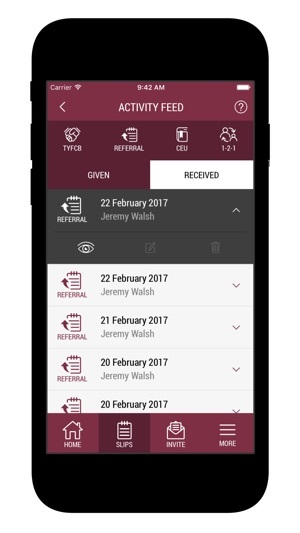 The official BNI Connect® Mobile App is here! 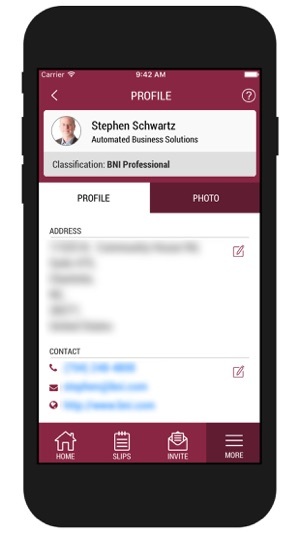 BNI Connect® Mobile is an application exclusively for BNI® Members. 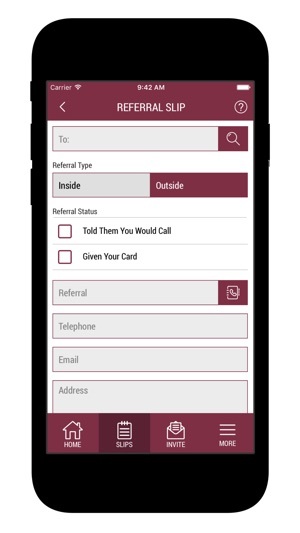 You can now access BNI Connect® from your mobile phone. Initially you can enter electronic slips for referrals, TYFCB, and One-to-Ones. Additionally, you can invite visitors to visit your Chapter and update your profile. 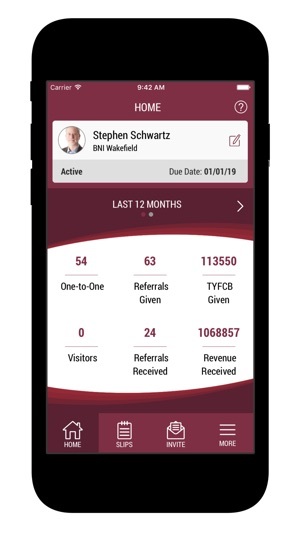 We will be adding new features to BNI Connect® Mobile on a regular basis. We’re excited to hear your feedback! Framework upgrade and a bug fixes. I appreciate having this app as I can call up the profiles of my chapter members containing their contact info, do a screenshot, and share it as a text or email in place of a business card. Very helpful! It’s also quick and easy to log data (referrals, TYFCBs, 1-2-1s, and education) giving me more specific data in my back office. Kudos to the dev team that’s clearly put a lot of work into this. Doesn’t work most of the time - just sits there in la la land/ black hole? And then it doesn’t recognize my password. I have fingerprint recognition on my iPhone - and the app still doesn’t recognize my fingerprint. If I’m lucky enough to get in, completing the referrals is painful- ALL fields need to be filled in - even if you don’t have all information (don’t know phone # or email address off the top of my head) or limited number of characters to send note / information with the referral. I’ve pretty much given up using this app. Emailing referrals directly is much easier. Not sure why there are sign in issues etc. I email support and they fix stuff within hrs. If you go down below on the app and search you can do a lot of things with cross chapter! Great job Stephen and team! © 2017 BNI Global, LLC. All rights reserved.